Originally called “Beargrass,” because of it’s location on the fork of the Beargrass Creek, Crescent Hill, has recently become one of the up-and coming neighborhoods in Louisville. Recently names by Southern Living as one of the “South’s Best Comeback Neighborhoods,” Cresent Hill is drenched in history and preservation. Located four miles from downtown Louisville, Crescent Hill’s convenient location draws a diverse residential community. Crescent Hill is bound between the St. Matthews city limit at Cannons Lane to N. Ewing at Frankfort Avenue. 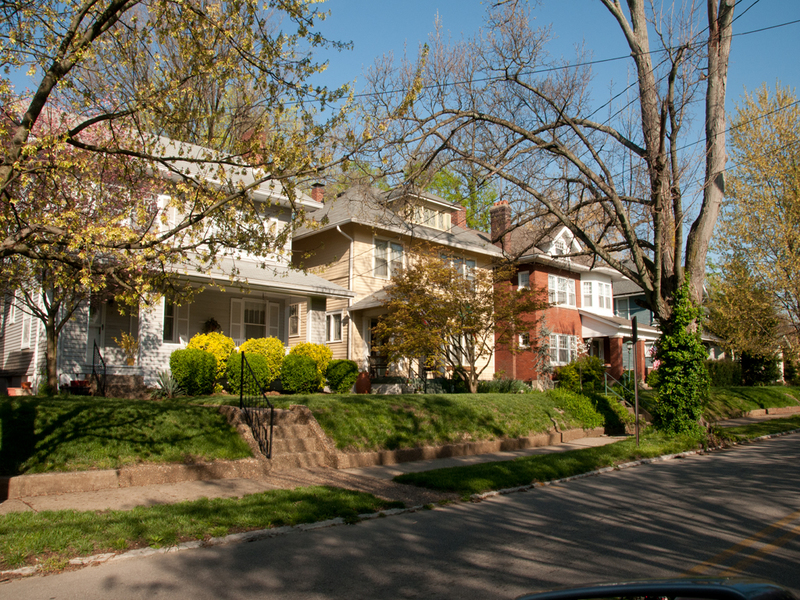 The Crescent Hill neighborhood combines the family friendly, tree lined streets of St. Matthews, with the hip, artsy community of the Clifton neighborhood. Crescent Hill is convenient, safe, community living that is affordable in a sought after area. History runs through Crescent Hill. You can check out a book from the Crescent Hill Branch Library which was established in 1908, or walk your dog at the Louisville Water Company Reservoir which is located in the heart of Crescent Hill. These historic buildings in Crescent Hill add beauty and create community togetherness for the neighborhood. The significant Peterson-Dumesnil House, holds annual events year round such as firework shows and art shows. Another landmark in Crescent Hill is the Southern Baptist Theological Seminary, whose campus provides a beautiful landscape and peaceful atmosphere that surrounds your home. 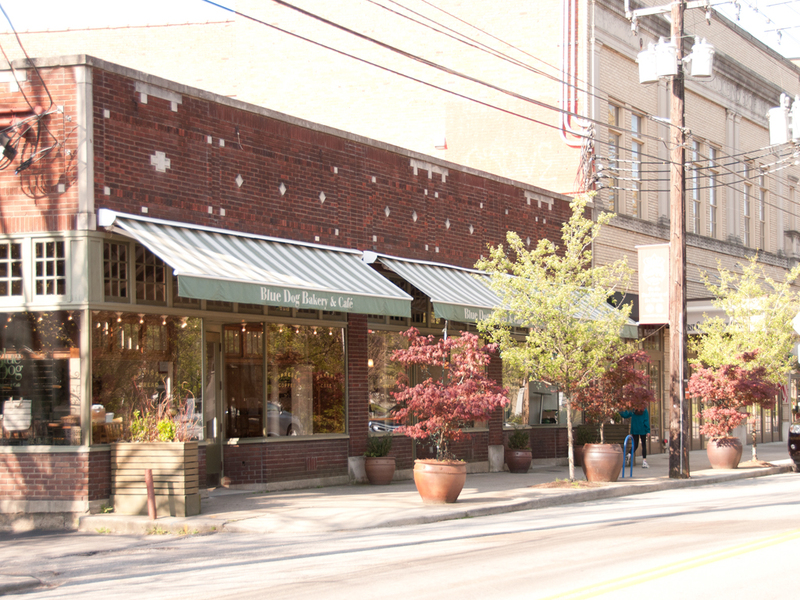 Crescent Hill is located near bustling Frankfort Avenue, home to restaurants, cafes, antique shops, and boutiques. Every final Friday of the month trolleys take over Frankfort Avenue and it becomes the place to be. The Crescent Hill neighborhood is the place to be often, hosting an Old Fashioned Fourth of July Party, among other community gatherings throughout the Year. Crescent Hill is truly a community worth being a part of. If Action and Activity is what you are looking for, Crescent Hill has it for you. There are local gyms, pools, parks, and golf courses nearby. Fitness on Frankfort has all your workout needs and Crescent Hill Park is filled with amenities including tennis courts and a spray pool. Also nearby is the Mary T Meagher Aquatic Center which offers a lap pool and free swim lessons, and even has a weight room and cardio equipment. The median sales price in 2011 for a home in Crescent Hill was $219,000 with an average price per square foot of $128.00. Styles of homes in Crescent Hill Vary. You will find a frame home, next door to a bungalow, next to a Victorian style home. Porches and yards are common in the area, adding to the sense of community and neighborhood that is so strong. Louisville Homes Online features the best Clifton Crescent Hill real estate MLS search for homes, condos and land available in the Clifton Crescent Hill Neighborhood. We have worked hard to ensure this is the only site you will ever need. It is easy to use and navigate through Clifton Crescent Hill real estate searches. The listings on our site are updated daily from the Louisville MLS. Additionally, you are able to get new property listings daily that meet your search criteria. We would be happy to answer any questions you have.